After your massage, before you fix your hair, take a selfie in all your massage hair (and cradle face) glory. 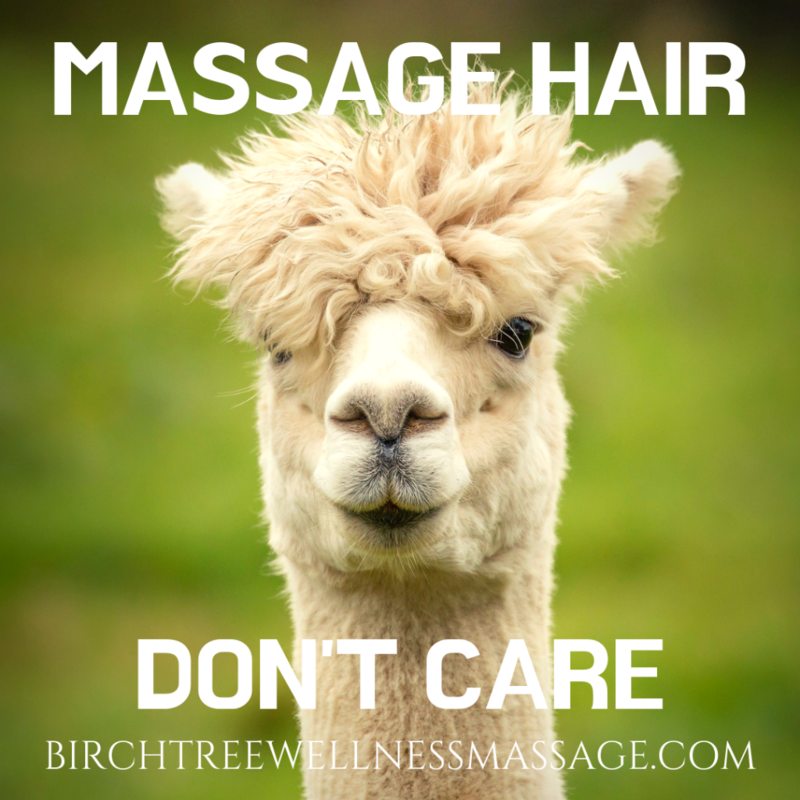 Post the selfie to Facebook or Instagram (or both) with the hashtag #massagehairdontcare. Be sure to make the photo public. Get your friends to like your post! The winner will be announced on April Fool’s Day (April 1). There may be runner up and consolation prizes. If you’re planning to enter, and want to make sure you get a good, thorough scalp massage, let me know at the time of your appointment, and I’ll do my best to help! 🙂 Don’t forget to get dressed before you take the selfie! And of course, Facebook and Instagram have absolutely nothing to do with this contest. Have a little fun with the rest of your winter!